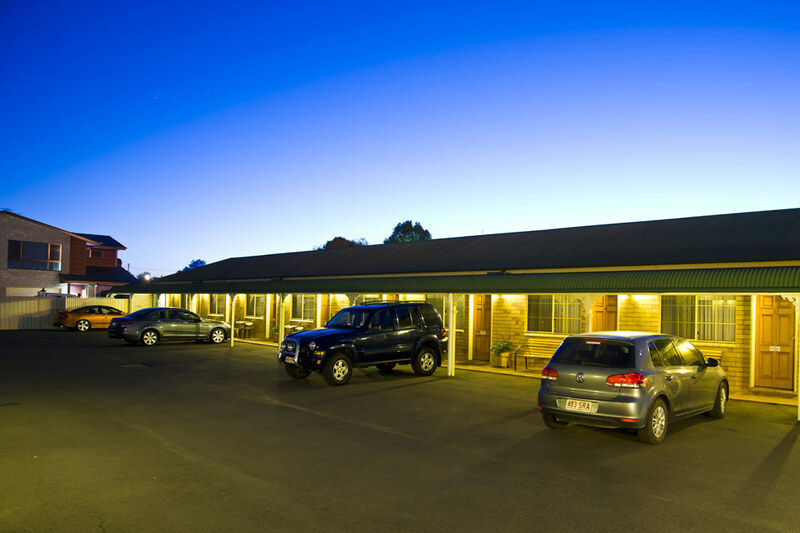 The Starlight Motor Inn has 18 comfortable and spacious air-conditioned motel units. 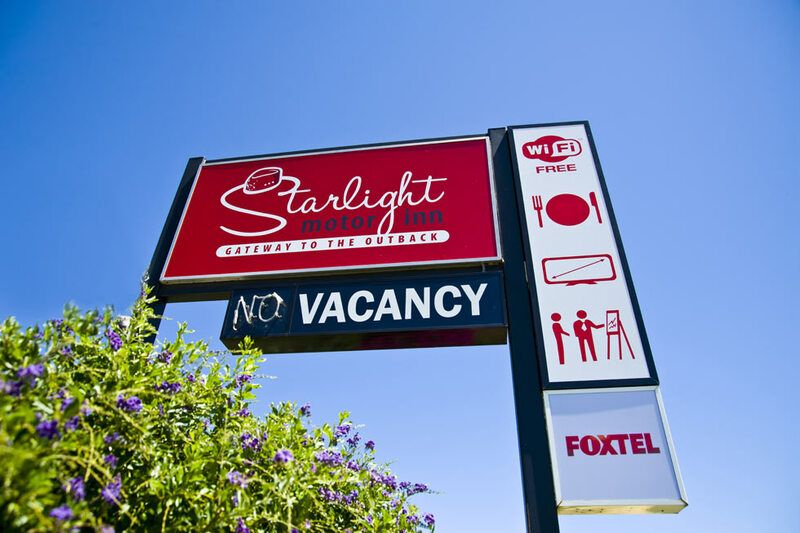 We are only 500m from the centre of town (Australia Post). 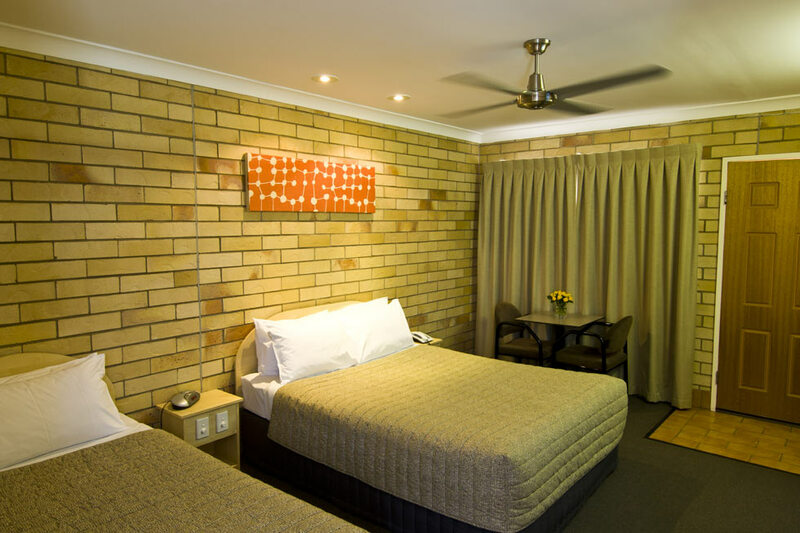 Our rooms are light and airy, immaculately clean and tastefully decorated. Sleep soundly on either a ‘soft & low’ OR ‘medium / high’ pillow!! 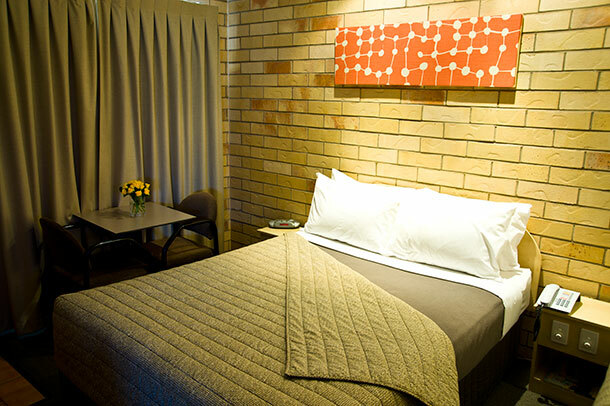 We agree with you, a Motel room must provide a choice of quality pillows. FREE Wireless broadband throughout the property. We offer 7 day room service for dinner & breakfast. 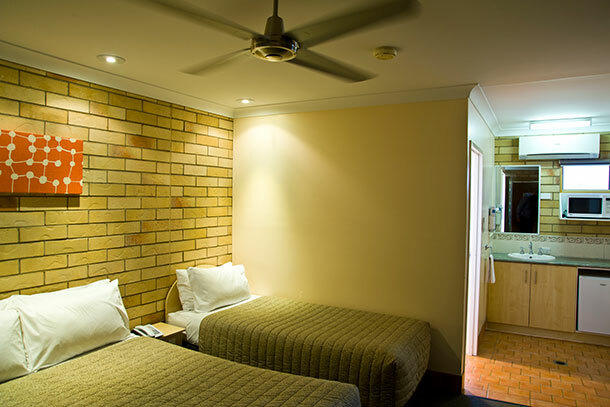 All of our rooms are air conditioned with whisper quiet ceiling fans, ensuring a comfortable and enjoyable stay. 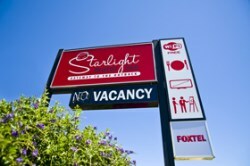 Other room features are Foxtel, microwave, refrigerator and tea & coffee facilities. 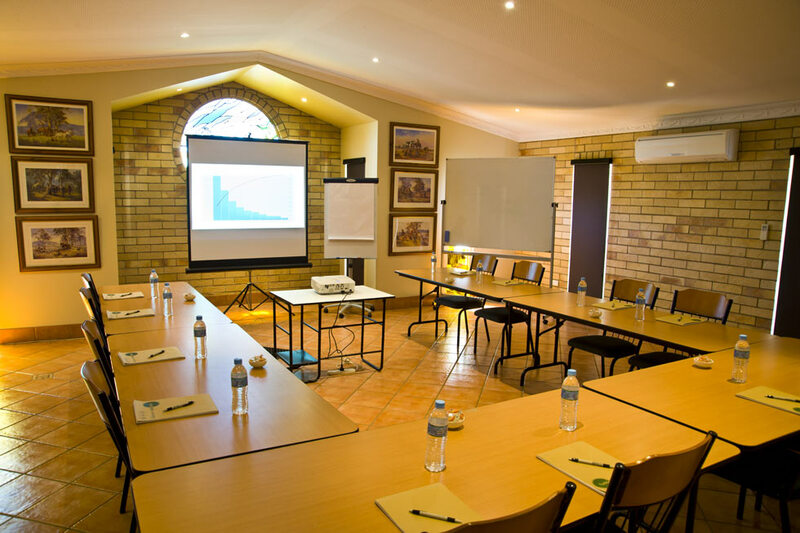 We invite you to enjoy genuine country hospitality combined with professional service. We offer quality accommodation for both singles, couples and families as well as the luxury of our soothing spa suites. The layout in the majority of our rooms has 1 x Queen size bed & 1 x Long Single bed, writing desk & dining table for two. 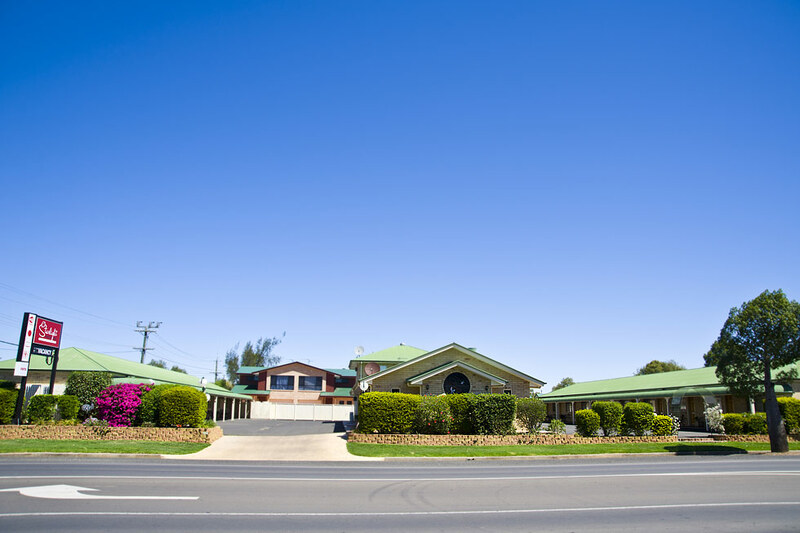 For families we offer our Two Bedroom Family Unit (also with spa). The main entry room has 1 x Queen bed & 1 x long Single bed, dining table for two & a writing desk. There is a separate second room with 2 x Long Single beds, own TV, writing desk, Air Conditioner & ceiling fan. This layout obviously works very well for groups or families, giving the parents ‘some space’. We have one purpose built ‘Disabled unit’. 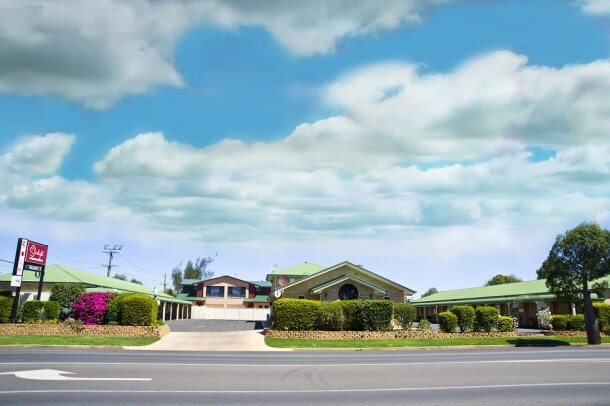 The thriving town of Roma, population 8000+ is approximately 500 kilometres west of Brisbane on the Warrego Hwy. It really is the ‘Gateway to the Outback’,(Birdsville etc.) along with being one of the logical stopover points for travellers driving from either Brisbane to Darwin OR Cairns / Townsville / Mackay to Sydney or Melbourne. Going through Roma is the most direct route for these destinations. The largest cattle sale yards in Australia are located here, visitors are welcome every Tuesday & Thursday from 8am, come and be part of this amazing spectacle. Don’t forget your akubra hat !! Natural gas was discovered in 1899, Roma is centrally located in a region of large gas reserves, to learn more about the industry, a must stopover is the Big Rig Museum, don’t miss the evening Night Show.